The upcoming iPhone 8 will have a 5.8-inch OLED display, according to Japanese news firm, Nikkei. This is quite surprising, as the news company had previously claimed that the iPhone 8 will feature a 5.0-inch OLED display. Nikkei seems to have backtracked its claim, to match similar reports. The 5.8-inch display which will supposedly, be edge-to-edge (like the Galaxy S7 edge? is not entirely usable for regular functionality. Instead only about 5.1 to 5.15 inches will be used for the general or practical portion, while the rest of the screen space will be reserved for a "functional area". This portion of the screen will replace the iPhone's home button with on-screen controls, aka virtual buttons. This has also been predicted by Ming-chi Kuo, an analyst from of KGI Securities, who has been accurate about predicting Apple related news in the past. For reference, we reported how Ming-Chi Kuo had predicted about the iPhone 5SE in February 2016. Now, the analyst’s and Nikkei's reports say that there will be two other Phones, besides the iPhone 8. There will be an Apple iPhone 7s Plus with a 5.5-inch LCD display and a 4.7-inch Apple iPhone 7s, also with an LCD screen. The bigger display is intended to further hike the average sales price of the iPhone, which is already sitting at about $700, Nikkei said. 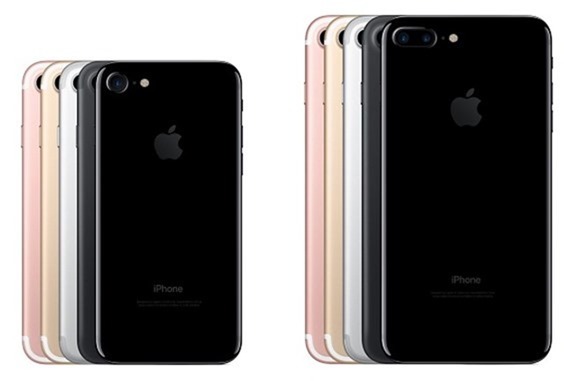 Though various versions of the iPhone SE, iPhone 6s, and iPhone 7 are available below the $700 mark, many people opt for more expensive configurations. The iPhone 8's bigger display will come at a price, quite literally. The device will be more expensive than the iPhone 7, which has an average sales price of $700 bucks. The iPhone 8 will likely cost $1,000 or more, but it may also have an iris scanner, and 3D facial recognition. According to a report, the new iPhones will support Type-C charging and wireless charging. Considering that Apple uses its own Lightning ports, it is likely that we won't see USB-C standard on the new devices though.